The Ebac Neptune Professional Dehumidifier is the ideal unit for commercial and residential work. Its compact size permits one-man operation, yet it has the capacity to handle several room-size areas at a time. Best of all, it's affordably priced within the budget of most restoration specialists or homeowners. 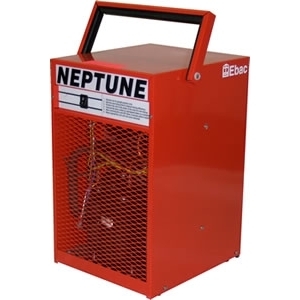 The Ebac Neptune Dehumidifier is a rugged, yet mobile piece of equipment that will operate under extreme conditions and pull large amounts of moisture from the air. Rugged, collapsible Integral handle for mobility.